Daytona Beach is a city in Volusia County, Florida, United States. The city lies about 51 miles (82.1 km) northeast of Orlando, 86 miles (138.4 km) southeast of Jacksonville, and 242 miles (389.5 km) northwest of Miami. In the 2010 U.S. Census, it had a population of 61,005. 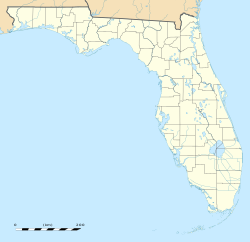 It is a principal city of the Deltona–Daytona Beach–Ormond Beach, FL metropolitan statistical area, which was home to 590,289 people in 2010. Daytona Beach is also a principal city of the Fun Coast region of Florida. The city is historically known for its beach where the hard-packed sand allows motorized vehicles to drive on the beach in restricted areas. This hard-packed sand made Daytona Beach a mecca for motorsports, and the old Daytona Beach Road Course hosted races for over 50 years. This was replaced in 1959 by the Daytona International Speedway. The city is also the headquarters forNASCAR and the Grand American Road Racing Association. The area where Daytona Beach is today was once inhabited by the indigenous Timucuan Indianswho lived in fortified villages. The Timucuas were nearly exterminated by contact with Europeans through war, enslavement and disease and became extinct as a racial entity through assimilation and attrition during the 18th century. The Seminole Indians, descendants of Creek Indians from Georgia and Alabama, frequented the area prior to the Second Seminole War. In 1886, the St. Johns & Halifax River Railway arrived in Daytona. The line would be purchased in 1889 by Henry M. Flagler, who made it part of hisFlorida East Coast Railway. The separate towns of Daytona, Daytona Beach, Kingston, and Seabreeze merged as "Daytona Beach" in 1926, at the urging of civic leader J.B. Kahn and others. By the 1920s, it was dubbed "The World's Most Famous Beach".